These four rooms are located on the lower level and are accessed via accessible concrete ramp (from Timber Ridge Drive parking) or stairs (from the Winery & Terrace parking lot). Amenities include two queen-sized beds, walk-in shower, shared patio with seating, small microwave & mini-fridge, and 2-cup coffee maker. These four rooms are located on the lower level and are accessed via accessible concrete ramp (from Timber Ridge Drive parking) or stairs (from the Winery & Terrace parking lot). 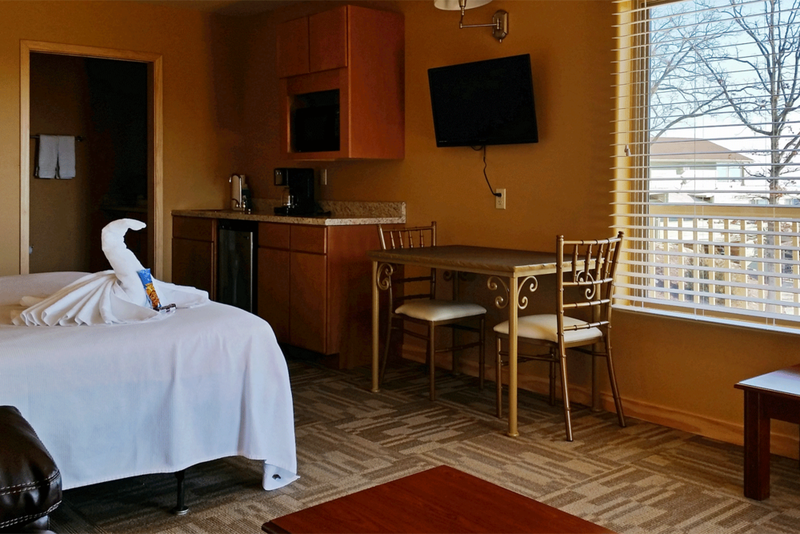 Amenities include two queen-sized beds, water-jet tub, shared patio with seating, small microwave & mini-fridge, and 2-cup coffee maker. These eight rooms are located mid-level and are accessed via stairs. 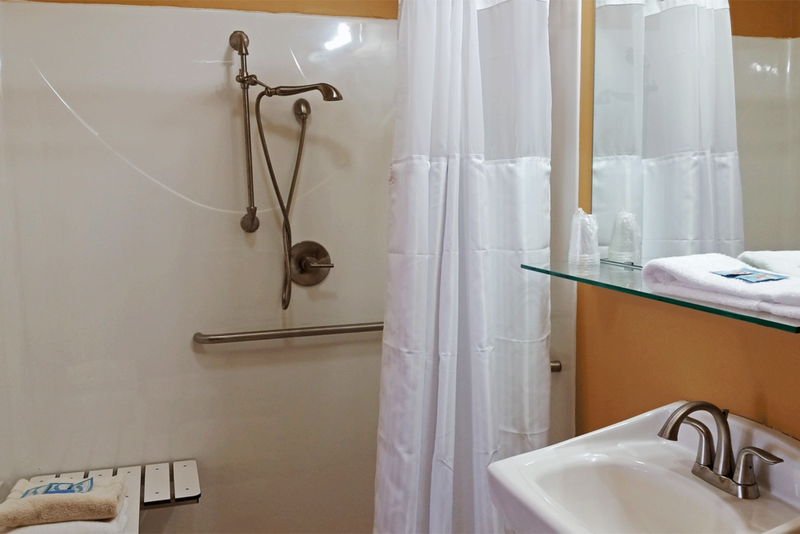 Amenities include two queen-sized beds, water-jet tub, shared deck with seating, small microwave & mini-fridge, and 2-cup coffee maker. These four rooms are located on the upper level and are accessed via wooden ramp or stairs. Amenities include king-sized beds, water-jet tub, shared deck with seating, small microwave & mini-fridge, and 2-cup coffee maker. These four rooms are located on the upper level and are accessed via wooden ramp or stairs. Amenities include king-sized beds, walk-in shower, shared deck with seating, small microwave & mini-fridge, and 2-cup coffee maker. Please note that all upper-level Terrace rooms (631 thru 638) are located directly below the banquet center and are best suited for those attending scheduled events. Any event noise, including tear-down & cleanup, may be audible in these rooms up to an hour after the event's conclusion (all events are required to conclude at 11:00 p.m.). $169 +tax per night Friday & Saturday; $149 +tax per night Sunday thru Thursday. Please note that starting Memorial Day weekend thru the last weekend in November, there is a two-night minimum for Saturday night rentals (Fri & Sat or Sat & Sun) for all Aerie's accommodations. Standard occupancy for all terrace rooms-- including doubles with two queen-sized beds-- is two adults. Double-bed rooms are limited to four adults, and there is an additional charge of $20 per person/per night if standard occupancy is exceeded. As with all Aerie's rentals, we do not accept pets and smoking is prohibited. All Terrace Rooms have free WiFi access. Please request login info at the registration desk. Note that connectivity may be limited and is not guaranteed.